The transfer season is bound to zoom to a close once the World Cup comes to an end this Sunday. Most clubs will be focusing on their pre-season tasks, and in forming a team that will meet their set goals ahead of the upcoming campaign. A crucial step in this will be to wrap up those transfers that were perhaps left hanging before the World Cup and maybe even revisit those that may still have some inkling of a hope left in them. Manchester United may soon find themselves to be that kind of a club, and the position in question is a crucial one. 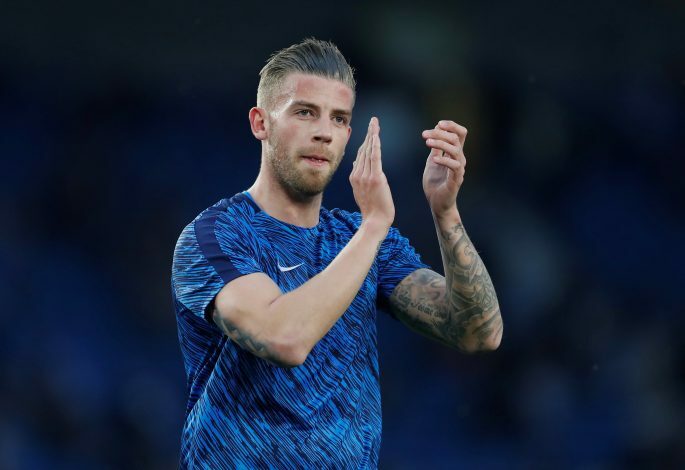 According to Yahoo Sport UK, United have been given renewed encouragement in their efforts to sign Toby Alderweireld from Tottenham. The London club has been believed to be open to selling the Belgian centre-back for quite a while now, and the Red Devils have always been up for the deal. However, talks died down around a month ago, when reports emerged that United wouldn’t be pursuing the 29-year-old as a result of Spurs trying to hike his asking price as high as £75 million. The reason this would never work is that the defender has a clause in his contract that would bring his price down to £25 million after this window. As a result, Tottenham are bound to have a change of heart, as they are not too keen on playing the Belgian star either, with Davinson Sanchez and Jan Vertonghen having emerged as the first-choice central pairing. United are in desperate need for a leader in the heart of their defense, and if the Mancunian giants are indeed serious about their intent of winning major titles next season, such a transfer is precisely what they require. Is a rekindling of this saga about to arrive?